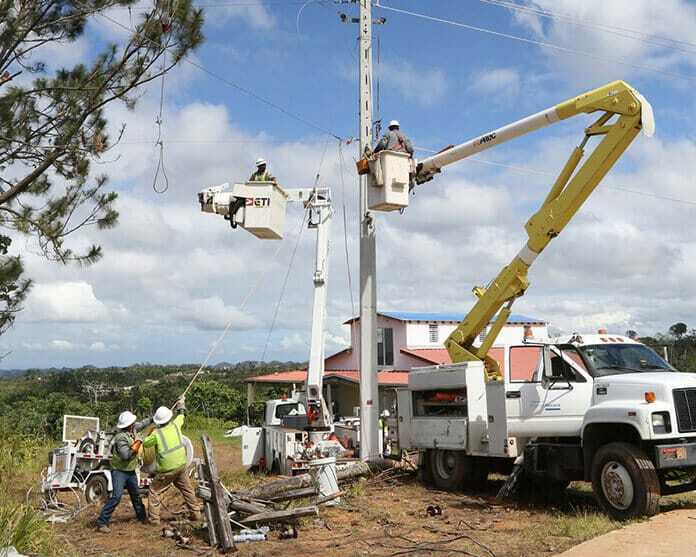 Lack of reliable power grid service continues to plague island residents, businesses, government agencies and community-centered non-governmental organizations (NGOs) one year after Hurricane Maria devastated Puerto Rico’s power grid and energy services. 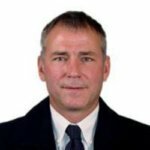 “The lack of reliability is a very big issue – the system continues to have large voltage and frequency issues, as well as blackouts,” Sunnova CEO John Berger told Solar Magazine. That said, Puerto Rico is in a unique position to turn tragedy into opportunity by riding the wave of new digital, decentralized and environmentally friendly renewable energy technologies, systems and market models sweeping across the power sector worldwide, Berger and other distributed solar and renewable energy proponents assert. “The evolution of power and energy industry and markets – in which distributed solar and energy storage installed behind the meter play a central role – isn’t the future, it’s today,” Berger said in an interview with Solar Magazine. “Current strategy and plans for the transformation of the electrical power system in Puerto Rico include developing a reliable, resilient, decentralized system with greater diversification in energy fuel mix involving a ‘decarbonizing’ energy transition by decreasing reliance on fuel oil, diesel, and coal and increasing the renewable portfolio standard,” Malu Blázquez told Solar Magazine. Executive director of the Resilient Puerto Rico Advisory Commission’s ReImagina Puerto Rico project, Blázquez serves as an adviser to the Puerto Rico Senate Technical Advisory Committee regarding energy transformation. Puerto Rico relies on fossil fuels, primarily diesel and other forms of liquid petroleum, for 98 percent of power generation. As a result, utility grid energy prices in Puerto Rico, in common with islands territories and nations throughout the Caribbean and around the world, are among the highest nationally and worldwide. Actions and goals resulting from the ReImagina Puerto Rico project are being incorporated in the island government’s energy policy and regulatory framework, Blázquez explained. The plan includes promoting distributed energy and rebuilding, hardening and modernizing the transmission and distribution systems for a minimum of energy security and resiliency. Of course, a more affordable power system is desired and needed in the long run to foster economic development. Nonprofits, non-governmental organizations and private-sector power and energy industry participants from the US and around the world responded to Puerto Rico’s need with humanitarian relief efforts in Hurricane Maria’s wake. The specific goals, as well as the ways and means the Puerto Rico government actually employs with regard to rebuilding Puerto Rico’s energy infrastructure, power market and industry haven’t been fully elaborated or formally adopted, however, a spokesperson for nonprofit humanitarian relief organization PRxPR told Solar Magazine. That said, “our strategy at PRxPR, in close partnership with our partners at Para La Naturaleza, is extremely clear. We are committed to installing solar panel renewable energy systems in community centers throughout the rural areas of the country. We are committed to helping build a stronger and resilient Puerto Rico,” PRxPR said. PRxPR is “well on its way to distributing aid based on our original strategy of focusing in the areas of food and agriculture, clean drinkable water, and renewable energy. Dozens of grants have been approved and distributed directly to those in most need,” the nonprofit told Solar Magazine. 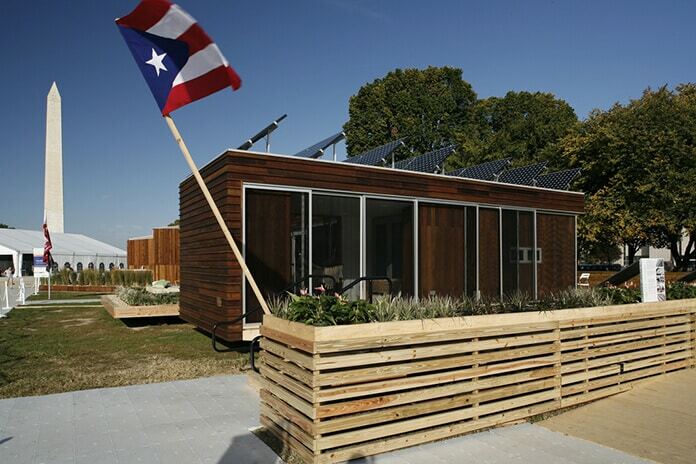 Resilient Power Puerto Rico (RPPR) has completed 28 community-centered solar-storage systems installations across the island in the last 11 months. Thirty-eight more are in the works, according to the nonprofit. “The current installation pipeline should take us well into the first half of 2019,” RPPR told Solar Magazine. In addition, RPPR is launching a partnership with Rocky Mountain Institute (RMI) to explore and promote the roll-out of renewable energy throughout Puerto Rico at all scales. “The initiative is starting with a needs study and will include a pilot implementation phase and call for proposals second phase. We are also expanding the collaboration with our current partners to increase the reach of renewables and energy resilience to all sectors and scales,” RPPR said. Para La Naturaleza’s (PLN) efforts to promote and foster renewable energy self-reliance include installing solar, other renewable energy and energy storage systems at visitor centers at each of its nature reserves, as well as other properties it owns or operates. 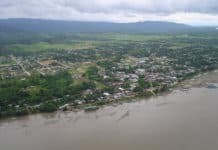 “For the energy portion, this has focused mainly on solar PV generation and battery storage due to its comparative generation advantage over other renewable sources on the island and the economics of available solutions at this time — though our Hacienda Buena Vista reserve does have a small hydroelectric system,” a PLN spokesperson explained. The shift to on-site solar power generation and energy storage enhances PLN’s energy reliability and resilience, enabling it to produce and distribute emissions-free energy off-grid and at times when utility grid service goes down. That reduces PLN’s operational costs and promotes natural resource conservation and decentralized green-infrastructure among the general public, PLN added. PLN is taking its renewable energy advocacy further. In August, the nonprofit said it would begin offering all its employees low-interest loans to facilitate the purchase of renewable energy systems for their own homes. “By providing an alternative funding source our employees could bridge the financing gap and reap the benefits of having their own energy generation source,” PLN said. 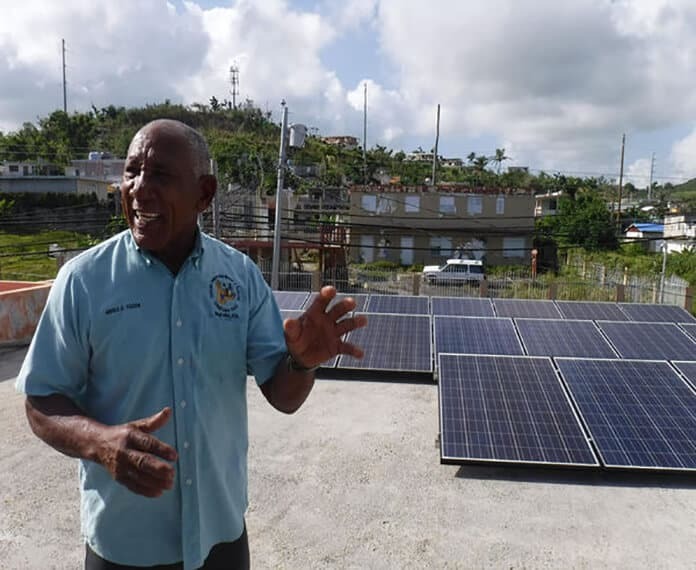 PLN also is working with community partners near its nature reserves to install solar PV-battery energy storage systems as part of its Resilient Community Centers project. The nonprofit and 30 community partners are also working to install rain catchment and water purification systems across the island. “These groups are located near our Nature Reserves and were also recipients of the first response efforts PLN aided with in the immediate aftermath of Hurricane Maria,” the nonprofit explained. Commercial, for-profit solar energy companies are playing an important role in helping rebuild Puerto Rico. Sunnova established its presence in Puerto Rico’s nascent distributed solar energy market six years ago. It has grown to become the largest installer of residential solar energy systems on the island since, according to Berger, and it continues to expand. 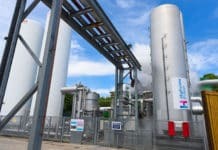 The solar energy and energy storage finance and installation company has invested some $150 million to develop its business in Puerto Rico. “We’re ramping up hiring and we continue to expand in Puerto Rico, including investing in local communities,” Berger said. Coupling residential solar PV systems with battery-based energy storage has become the norm in Puerto Rico as a result of ongoing concerns regarding the reliability and resilience of state-owned utility grid operator PREPA (Puerto Rico Electric and Power Authority) and island residents’ vulnerability to tropical storms and hurricanes. Fortuitously, the falling cost of stationary battery energy storage is making solar-storage systems more affordable for island residents. “Every new Sunnova customer has battery storage, and we encourage that given the lack of grid service reliability,” Berger said. Puerto Rico home and business owners have traditionally relied on diesel generators for emergency back-up power. “I would say batteries are far superior to diesel generators, mainly because of the refueling problem. That proved to be a big issue in the aftermath of the storm,” Berger said. Sunnova customers who install solar PV-battery energy storage systems can start saving from day one of their system being installed, according to Berger. “It varies from installation to installation, but given the expected increases in utility grid costs Puerto Rico homeowners can meet all their power needs at below PREPA rates,” he told Solar Magazine. The Puerto Rico government announced that electricity rates are going to increase, in large part due to government and PREPA bankruptcy settlement negotiations with creditors. The economics of residential solar-energy storage is improving as a result, Berger pointed out. “I think people are going to be very enthusiastic, and pleased with the investments they make in solar-energy storage systems. It’s almost an apples-to-oranges comparison when compared with the grid service PREPA provides. 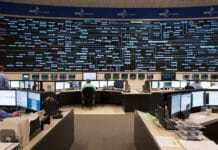 Solar-energy storage systems are more reliable, and more resilient,” Berger said. Puerto Rico’s Governor Roberto Roselló has come out in support of creating a decentralized power and energy infrastructure and market model centered on use of distributed solar, other local, renewable energy resources and battery-based energy storage. That includes setting a tentative goal of renewable energy resources meeting anywhere from 30-45 percent of Puerto Rico’s electricity needs. Roselló outlined what he called an Energy 2.0 model for Puerto Rico in his “New Vision for Puerto Rico” speech at the Aspen Ideas Festival June 26 this year. “This is an opportunity to leapfrog into the future and create an Energy 2.0 model,” he was quoted in news reports. Towards that end, Roselló said that Puerto Rico could use some of the disaster recovery funds it’s receiving and invite public and private sector partners to participate in creating a “robust” power and energy regulatory framework that results in more affordable reliable, resilient and environmentally friendly production and distribution of electricity. “The government of Puerto Rico has expressed interest in rebuilding Puerto Rico’s energy grid inclusive of renewable energy alternatives. That, however, is still to be designed, budgeted, legislated, approved and executed. Should that be the path that the government takes, we could then say that the installations that we are now deploying, would be completely aligned with that intent and that strategy,” PRxPR told Solar Magazine. An independent, government advisory committee created in November 2017 by leading Puerto Ricans with support from the Rockefeller Foundation, the Open Society Foundations and the Ford Foundation, the Resilient Puerto Rico Advisory Commission launched the ReImagina Puerto Rico project to develop policies and an institutional framework to accelerate the US island territory’s recovery and set the foundation for inclusive, sustainable socioeconomic development and growth. Released in June, the ReImagina Puerto Rico Report and six Sector Reports present 97 actions and recommendations to realize “to help rebuild Puerto Rico, and significantly contribute to building a stronger more resilient island in the wake of Hurricane Maria,” the commission highlights. Negotiating an agreement with creditors regarding repayment of Puerto Rico’s of outstanding debt obligations is prerequisite to Puerto Rico’s recovery advancing in earnest. That includes settling state utility Puerto Rico Electric Power Authority’s (PREPA) $8.2 billion of outstanding debt obligations. News emerged on Sept. 21 that the federal control board overseeing Puerto Rico’s finances finalized a debt-restructuring deal covering nearly a quarter of the U.S. territory’s $70 billion in public debt obligations. The proposed plan would result in $17 billion in debt service savings, according to the board, which said it will present the plan to a federal judge overseeing Puerto Rico’s bankruptcy case next month. PREPA is working to complete a new energy Integrated Resource Plan (IRP) and the Puerto Rico Senate is aiming to pass new legislation that establishes a strategic new energy plan, goals and associated regulatory framework by November 2018, Blázquez explained. That will establish the rules and guidelines governing the decentralization and privatizations processes to follow. “It is very important that the IRP currently being developed by PREPA be completely aligned with the new energy goals and vision being established for Puerto Rico’s energy sector. If the IRP is completed before or is not aligned, then it will need to be revisited [and] updated for alignment before moving forward with implementation. ReImagina Puerto Rico will continue to be actively involved in the PR Senate Technical Advisory Committee and the Southern States Energy Board Blue Ribbon Committee promoting our energy goals and recommendations,” Blázquez said. “While it is easy to get caught up thinking about what happened and what could have been done differently, the truth is that the 2018 hurricane season is peaking in September and there are multiple threats on the horizon that we need to be vigilant of and prepared for,” PLN added. All three nonprofits have been stepping up their hurricane-related emergency preparedness in advance. The community group is coordinating with local authorities to ensure service delivery for at-risk residents.